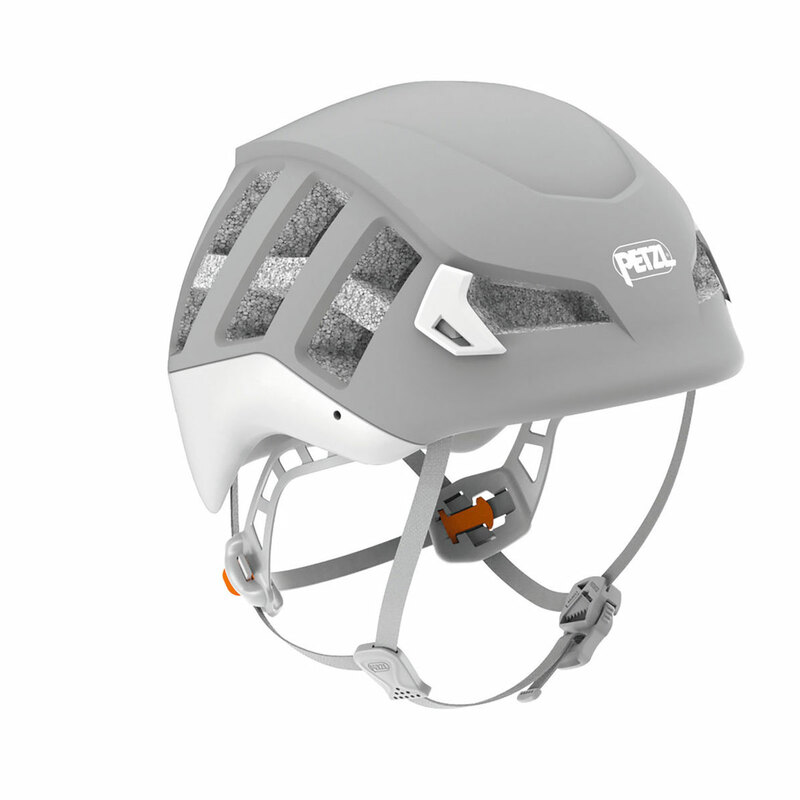 The Petzl Meteor Climbing Helmet is back for 2019 with some new colours and the same lightweight shape, good ventilation and clever practicality that made the original so popular. The design provides reinforced protection to the top and circumference of the head, making the Meteor the first CE-certified ski touring helmet. It's covered with practical vents to keep your head cool, without sacrificing on protection, while the magnetic buckle can be adjusted with one hand for minimal fuss while climbing. But one of the best things about the Meteor Helmet is just how comfortable it is; a foam headband moulds to the shape of your head, while the inner padding is comfortable and stable. The headband is super-easy to adjust and can be folded into the shell for easy transportation, while four integrated head torch clips make climbing at night or caving a breeze. Very good fit, superlight and comfortable, perfect for alpine adventures!